IN May 1969 the Mayor of Lisburn, James Howard was reelected. Mr Howard had been the Mayor of Lisburn since 1964 and was proposed to continue in his role by Alderman James Dickey, who said Mr Howard has served the people well since 1946 and had done such a good job as mayor that there was no reason why he should not carry on. There was some disagreement amongst the members, with some stating that the office should be "shared around". However, Mr Howard was then elected to the position. SPECIAL watch groups were set up amongst the town's businessmen in October 1971. It was reported that every every night when the shops closed, the men take to the streets to keep an all night vigil on their premises. The aim of the operation was to assist the security forces in their big to curb the activities of bombers who were targeting Lisburn. The decision to form vigilantes was taken following a two-hour meeting with businessmen, representatives of the Borough Council, Chamber of Commerce, police and army. The new movement was known as the "Lisburn Central Security Group" and the Mayor also appealed to people to come forward and give of their services. IN November 1971 a new sports team was formed in Lisburn. The Star revealed that a new indoor bowling club was formed in the Pond Park area by local people who were "alert to the values of good community relations." The club was formed after people were asked to put the Red Cross hall at Pond Park to good use. Some wanted a badminton club but the majority were in favour of a bowling club. They were presented with their first mat by First Lisburn Bowling Club. CHILDREN in Finaghy held noisy protests outside the homes of local residents after a carnival planned for the estate was cancelled at the last minute. Plans had been made for a carnival, including side shows and attractions, when some local residents lodged objections with the Housing Trust Tenants' Association and the Association was forced to withdraw its permission for the carnival. The carnival was being run in aid of the National Playing Fields Association, who stood to benefit by a sum of around £1,500. Barry's Amusements had been booked but when residents saw that dodgems would be installed a short distance from their homes, they lodged objections and a petition was started. One objector said it would be "degrading" to have a carnival in the area. Are you in tune with this old photo? 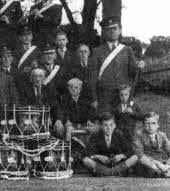 STAR reader Jim Ross has been in touch with this wonderful old photograph of a flute band. It has been in my house for many years but unfortunately I don't know the name of the band" Jim says.. "I can only identify about two or three people in the photo: Seated left on the ground and next to the stack of side drums is Jimmy Irwin: two rows behind him, the small boy standing full view, next to the bass drummer is Jackie Ross. HERE is an interesting advert from The Star in March, 1969. 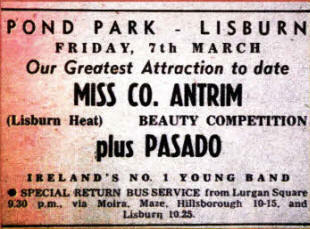 It was for the Lisburn heat of Miss Co. Antrim - did you enter? 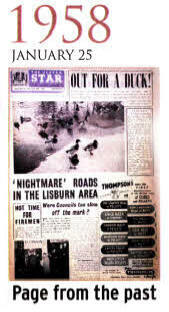 IN March 1958 residents in Lisburn learnt that their rates would be increasing. It was revealed that those living in the urban area would have to pay Is. Id. in the £ more rates in the new financial year, which began on April 1, 1958. The new rate was adopted at a special meeting of Lisburn Urban Council. It was also reported that the 'Poor Rate' at 8/1 was an increase of 5d over the previous year and the 'Town Rate' (11/11) was 8d more than the current figure. Mr H Bruce, the vice-chairman who presided said that "once again they were faced with an increased demand from the County Council", which amounted to £5,427. One service alone, that of education, accounted for £4,115. Ireland government to pass "amending legislation increasing the Government grant towards education." It was noted that in the year ended March 1948 the demand for education was £5,345 yet in March 1959 it was £38,970. Mr BH Greer said they had to pay a "colossal" amount for education and he said he thought some school buildings could be "less elaborate." However, Mr J Ward held that education was "going to keep this old Empire in the forefront of the world countries." He added that "Without education they were going to have to fight every day and night for an existence," and that it was "education that was going to beat their enemies." He added that he "did not think they had any grumble." A host of improvements in the area were also scheduled, including the laying of main sewers in the Hillsborough Road area, the reconstruction of the roadway at Low Road, improvements to a portion of Warren Gardens, widening part of the Saintfield Road, the realignment of Wallace Avenue and the installation of a new electrically-driven town clock. Mr Bruce added that the increase in rates "did not make everything in the garden lovely," but felt if the proposed improvements were carried out "they would be doing a good job." IN October 1985 the Star announced that parts of Lisburn would have a new wheeled bin system introduced. Areas for the trial scheme included Hillsborough Road, Woodland Park, Old Warren Estate, Tonagh Estate and Knockmore. Tenders for the system were received from four firms and it was anticipated that the scheme would be rolled out in February 1986. 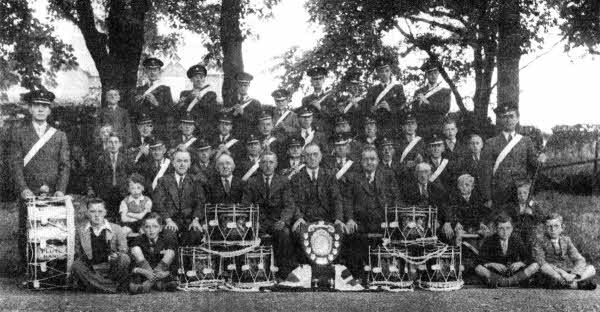 THANK you for publishing the photograph submitted by Mr Jim Ross of Lisburn Conservative Flute Band. My name is Stewart McCormack and I am the blonde-haired boy second from the right in the second row (I am assuming that the first row is those sitting cross-legged on the ground). My father (Jack McCormack) is standing behind me and slightly to the left of me in the third row wearing the band's uniform. I went to Lisburn Central School which was shown in one of your 'Down Our Way' features. The Ross family lived opposite us in Warren Park Avenue. My aunt forwarded me the newspapers, and the Rev. Colin McCormack, who responded to the first publication, keeps me informed by e-mail. Colin is my cousin. I have a lot to be thankful for when it comes to Flute bands in Northern Ireland as do many others (not forgetting Sir James Galway). After Lisburn Central School, my younger brother and I attended the Royal Military School of Music, Kneller Hall and have been blessed with a lifetime of flute playing which continues to this day. 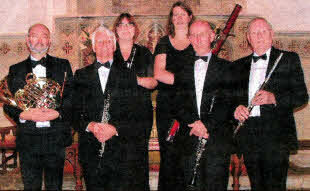 Attached is a photograph of my music group 'EVOC' and again, by coincidence, I am the flute player on the right but now with grey hair!